Oriental Harbor is proud to be home to Oriental Harbor Real Estate Services. Our firm is a full service brokerage assisting buyers and sellers, providing investor services, boat slip sales, and property management. Our company’s philosophy emphasizes professionalism, personal service, market familiarity, and education of the area to our clients and visitors to Oriental and the surrounding area. As members of the Area Board of Realtors and Multiple Listing Service, we have access to and the ability to assist our clients with all the properties available in our area. We sincerely believe that the unique location of Oriental Harbor Real Estate overlooking the harbor, knowledge of the village and surrounding area, and our commitment to personal service make us distinctly qualified to introduce you to and assist you in owning a part of one of the most unique areas in the country. 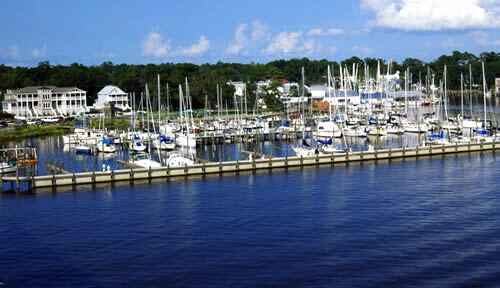 Please feel free to contact Oriental Harbor Real Estate at 252-671-9692, or e-mail us at info@orientalharbor.com. Better yet, stop by our offices overlooking the Harbor, enjoy a drink, the spectacular view, and visit with us. We’re always glad to meet new friends.